It's time for some music. In this episode we talk with Megan Metzelaar, the writer and performer of the Autism Stories theme song "Who am I" about how music can be beneficial for those with Autism. Autism Stories connects you with amazing people who are helping teens and adults with Autism become more independent and successful. Music for this podcast was written and recorded by Megan Metzelaar. Megan is a 27 yr old part time student at UC Clermont where she is just about to earn her Associate's Degree in Biological Sciences. She has two cats that live at her mom and grandmothers house (BW and Sunshine). Megan likes to write music, sing, dance, and watch movies with her husband. She has Autism and ADHD and enjoys performing on stage as it makes her feel she is just like everyone else. Megan just created her first album "24". In this episode we discuss how personal and family indicators effect those with Autism in developing self determination in their lives. Autism Stories connects you with amazing people who are helping teens and adults with Autism become more independent and successful. Music for this podcast was written and recorded by Megan Metzelaar. Megan is a 26 yr old part time student at UC Clermont where she is just about to earn her Associate's Degree in Biological Sciences. She has two cats that live at her mom and grandmothers house (BW and Sunshine). Megan likes to write music, sing, dance, and watch movies with her husband. She has Autism and ADHD and enjoys performing on stage as it makes her feel she is just like everyone else. Megan just created her first album "24" (however, she is waiting for songs to be copyrighted). In this episode we will talk with Ivette Sarkar about the challenges those with Autism and their families face when they don't fluently speak English. Ivette is a multicultural specialist for the Ohio Coalition for the Education of Children with Disabilities. Autism Stories connects you with amazing people who are helping teens and adults with Autism become more independent and successful. Music for this podcast was written and recorded by Megan Metzelaar. Megan is a 26 yr old part time student at UC Clermont where she is just about to earn her Associate's Degree in Biological Sciences. She has two cats that live at her mom and grandmothers house (BW and Sunshine). Megan likes to write music, sing, dance, and watch movies with her husband. She has Autism and ADHD and enjoys performing on stage as it makes her feel she is just like everyone else. Megan just created her first album "24" (however, she is waiting for songs to be copyrighted). What is it like to have Autism and be a NASCAR driver? On this episode we talk with Armani Williams, the first NASCAR driver that is diagnosed with Autism. Armani shares with us his start as a race care driver, how NASCAR has helped him become the person he is today, and much more. Autism Stories connects you with amazing people who are helping teens and adults with Autism become more independent and successful. Music for this podcast was written and recorded by Megan Metzelaar. Megan is a 26 yr old part time student at UC Clermont where she is just about to earn her Associate's Degree in Biological Sciences. She has two cats that live at her mom and grandmothers house (BW and Sunshine). Megan likes to write music, sing, dance, and watch movies with her husband. She has Autism and ADHD and enjoys performing on stage as it makes her feel she is just like everyone else. Megan just created her first album "24" (however, she is waiting for songs to be copyrighted). Finding and keeping a job you love is not easy for anyone, but particularly for those with Autism. In this episode we talk with Boaz Santiago about how self employment could be a pathway for some people with Autism in finding and keeping a job they love. Boaz is the co-founder of PicEin Works, an organization that provides individuals with developmental disabilities the opportunity to obtain meaningful employment by pursuing their passions. Autism Stories connects you with amazing people who are helping teens and adults with Autism become more independent and successful. Music for this podcast was written and recorded by Megan Metzelaar. Megan is a 26 yr old part time student at UC Clermont where she is just about to earn her Associate's Degree in Biological Sciences. She has two cats that live at her mom and grandmothers house (BW and Sunshine). Megan likes to write music, sing, dance, and watch movies with her husband. She has Autism and ADHD and enjoys performing on stage as it makes her feel she is just like everyone else. Megan just created her first album "24" (however, she is waiting for songs to be copyrighted). Life can be so challenging prior to someone getting an Autism diagnosis. On this episode we will talk about getting an Autism diagnosis with Katie Hatmaker. Katie is a clinical assistant and part of the Autism evaluation team of the Cleveland Clinic Children’s Center for Autism. Autism Stories connects you with amazing people who are helping teens and adults with Autism become more independent and successful. Music for this podcast was written and recorded by Megan Metzelaar. Megan is a 26 yr old part time student at UC Clermont where she is just about to earn her Associate's Degree in Biological Sciences. She has two cats that live at her mom and grandmothers house (BW and Sunshine). Megan likes to write music, sing, dance, and watch movies with her husband. She has Autism and ADHD and enjoys performing on stage as it makes her feel she is just like everyone else. Megan just created her first album "24" (however, she is waiting for songs to be copyrighted). On this episode we discuss with Molly Dann how sensory processing impacts so much of what we do. Molly D. Dann-Pipinias is a self-advocate with a passion for bringing awareness and advocacy to the Cleveland area. She works at Milestones Autism Resources as an administrative assistant. Autism Stories connects you with amazing people who are helping teens and adults with Autism become more independent and successful. To learn more about Molly and Milestones Autism Resources please visit http://milestones.org. Music for this podcast was written and recorded by Megan Metzelaar. Megan is a 26 yr old part time student at UC Clermont where she is just about to earn her Associate's Degree in Biological Sciences. She has two cats that live at her mom and grandmothers house (BW and Sunshine). Megan likes to write music, sing, dance, and watch movies with her husband. She has Autism and ADHD and enjoys performing on stage as it makes her feel she is just like everyone else. Megan just created her first album "24" (however, she is waiting for songs to be copyrighted). On this episode we talk with Beth Thompson about developing successful internships for those with Autism. Beth is the program services director for Milestones Autism Resources in Cleveland, Ohio. Autism Stories connects you with amazing people who are helping teens and adults with Autism become more independent and successful. To learn more about Beth and Milestones Autism Resources please visit http://milestones.org. Music for this podcast was written and recorded by Megan Metzelaar. Megan is a 26 yr old part time student at UC Clermont where she is just about to earn her Associate's Degree in Biological Sciences. She has two cats that live at her mom and grandmothers house (BW and Sunshine). Megan likes to write music, sing, dance, and watch movies with her husband. She has Autism and ADHD and enjoys performing on stage as it makes her feel she is just like everyone else. Megan just created her first album "24" (however, she is waiting for songs to be copyrighted). On this episode we talk about how to effectively communicate to have your needs met with Sondra Williams. Sondra is a publish author, national speaker, and member of the Ohio Center for Autism and Low Incidence Advisory board. Autism Stories connects you with amazing people who are helping teens and adults with Autism become more independent and successful. Music for this podcast was written and recorded by Megan Metzelaar. Megan is a 26 yr old part time student at UC Clermont where she is just about to earn her Associate's Degree in Biological Sciences. She has two cats that live at her mom and grandmothers house (BW and Sunshine). Megan likes to write music, sing, dance, and watch movies with her husband. She has Autism and ADHD and enjoys performing on stage as it makes her feel she is just like everyone else. Megan just created her first album "24" (however, she is waiting for songs to be copyrighted). On this episode we talk with Maverick Crawford about how people with Autism can find their personal strength and become successful. Maverick is the author of the book "Overcoming the Odds: My Journey to Finding Personal Strength and Triumph. Autism Stories connects you with amazing people who are helping teens and adults with Autism become more independent and successful. Music for this podcast was written and recorded by Megan Metzelaar. Megan is a 26 yr old part time student at UC Clermont where she is just about to earn her Associate's Degree in Biological Sciences. She has two cats that live at her mom and grandmothers house (BW and Sunshine). Megan likes to write music, sing, dance, and watch movies with her husband. She has Autism and ADHD and enjoys performing on stage as it makes her feel she is just like everyone else. Megan just created her first album "24" (however, she is waiting for songs to be copyrighted). On this episode we will talk with Thomas Edwards about removing employment barriers to help Autistic people be successful at work. Thomas is the author of a soon to be released book "Leading Team Members with Superpowers: How effective leadership of the neurodiverse can unleash their potential to improve your company and make you a better leader". Autism Stories connects you with amazing people who are helping teens and adults with Autism become more independent and successful. Music for this podcast was written and recorded by Megan Metzelaar. Megan is a 26 yr old part time student at UC Clermont where she is just about to earn her Associate's Degree in Biological Sciences. She has two cats that live at her mom and grandmothers house (BW and Sunshine). Megan likes to write music, sing, dance, and watch movies with her husband. She has Autism and ADHD and enjoys performing on stage as it makes her feel she is just like everyone else. Megan just created her first album "24" (however, she is waiting for songs to be copyrighted). On this episode we talk about how you can best work with your counties support administrator with Mike Sweetin. Mike is the transition services coordinator and previously a support administrator for Butler County in Ohio. Autism Stories connects you with amazing people who are helping teens and adults with Autism become more independent and successful. Music for this podcast was written and recorded by Megan Metzelaar. Megan is a 26 yr old part time student at UC Clermont where she is just about to earn her Associate's Degree in Biological Sciences. She has two cats that live at her mom and grandmothers house (BW and Sunshine). Megan likes to write music, sing, dance, and watch movies with her husband. She has Autism and ADHD and enjoys performing on stage as it makes her feel she is just like everyone else. Megan just created her first album "24" (however, she is waiting for songs to be copyrighted). On this episode we will talk with Bill Fendbers, the social media facilitator for the Autism Society of Greater Cincinnati, about the power of volunteering for those with Autism. Autism Stories connects you with amazing people who are helping teens and adults with Autism become more independent and successful. Music for this podcast was written and recorded by Megan Metzelaar. Megan is a 26 yr old part time student at UC Clermont where she is just about to earn her Associate's Degree in Biological Sciences. She has two cats that live at her mom and grandmothers house (BW and Sunshine). Megan likes to write music, sing, dance, and watch movies with her husband. She has Autism and ADHD and enjoys performing on stage as it makes her feel she is just like everyone else. Megan just created her first album "24" (however, she is waiting for songs to be copyrighted). On this episode we discuss the sensory system you need to know more about with occupational therapist Kelly Mahler. Kelly discusses why its so important to know and be aware of your interoception system on a daily basis. Autism Stories connects you with amazing people who are helping teens and adults with Autism become more independent and successful. To learn more about Kelly and interoception please visit http://mahlerautism.com. Music for this podcast was written and recorded by Megan Metzelaar. Megan is a 26 yr old part time student at UC Clermont where she is just about to earn her Associate's Degree in Biological Sciences. She has two cats that live at her mom and grandmothers house (BW and Sunshine). Megan likes to write music, sing, dance, and watch movies with her husband. She has Autism and ADHD and enjoys performing on stage as it makes her feel she is just like everyone else. Megan just created her first album "24" (however, she is waiting for songs to be copyrighted). On this episode of Autism Stories Mary Ellen Gracean, the Vice President of Operations at the Autism Society of Pittsburgh, discusses the importance of employment, mentoring, and social opportunities. Autism Stories connects you with amazing people who are helping teens and adults with Autism become more independent and successful. 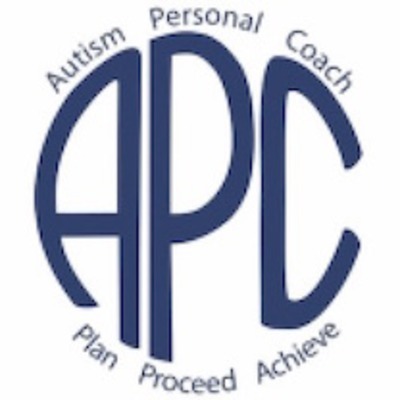 Check out the guest blog that Doug Blecher did for Milestones Autism Resources did this month about how to create a clear path to your goals. The blog can be found at http://milestones.org/ask-the-expert-doug-blecher-how-to-create-a-clear-path-to-your-goals/. Music for this podcast was written and recorded by Megan Metzelaar. Megan is a 26 yr old part time student at UC Clermont where she is just about to earn her Associate's Degree in Biological Sciences. She has two casts that liver at her mom and grandmothers house (BW and Sunshine). Megan likes to write music, sing, dance, and watch movies with her husband. She has Autism and ADHD and enjoys performing on stage as it makes her feel she is just like everyone else. Megan just created her first album "24" (however, she is waiting for songs to be copyrighted). On this episode of Autism Stories we will talk about life for college students with Autism with Haley Moss. Haley is the author of "A Freshman Survival Guide for College Students with Autism Spectrum Disorders". Autism Stories connects you with amazing people who are helping teens and adults with Autism become more independent and successful. Music for this podcast was written and recorded by Megan Metzelaar. Megan is a 26 yr old part time student at UC Clermont where she is just about to earn her Associate's Degree in Biological Sciences. She has two casts that liver at her mom and grandmothers house (BW and Sunshine). Megan likes to write music, sing, dance, and watch movies with her husband. She has Autism and ADHD and enjoys performing on stage as it makes her feel she is just like everyone else. Megan just created her first album "24" (however, she is waiting for songs to be copyrighted). In this Christmas Eve edition of Autism Stories listen to our interview with Dr. Lamar Hardwick. He will discuss being diagnosed with Autism as an adult as well as being a pastor, father, and husband. Autism Stories connects you with amazing people who are helping teens and adults with Autism become more independent and successful. If you would like to learn more about Lamar please visit https://autismpastor.com. Music for this podcast was written and recorded by Megan Metzelaar. Megan is a 26 yr old part time student at UC Clermont where she is just about to earn her Associate's Degree in Biological Sciences. She has two casts that liver at her mom and grandmothers house (BW and Sunshine). Megan likes to write music, sing, dance, and watch movies with her husband. She has Autism and ADHD and enjoys performing on stage as it makes her feel she is just like everyone else. Megan just created her first album "24" (however, she is waiting for songs to be copyrighted). In this episode of Autism Stories, Barb Rutt discusses self advocacy, human sexuality, and how to work best with families .She has been advocating for adults and children with disabilities for over 25 years and is currently the Disability & Outreach Advocate for Genesis House Domestic Violence Center. To learn more about Genesis House visit their website at http://www.genesishouseshelter.org. Music for this podcast was written and recorded by Megan Metzelaar. Megan is a 26 yr old part time student at UC Clermont where she is just about to earn her Associate's Degree in Biological Sciences. She has two casts that liver at her mom and grandmothers house (BW and Sunshine). Megan likes to write music, sing, dance, and watch movies with her husband. She has Autism and ADHD and enjoys performing on stage as it makes her feel she is just like everyone else. Megan just created her first album "24" (however, she is waiting for songs to be copyrighted). In this episode of Autism Stories, Eric Metzger discusses the different aspects of community and how we must think differently about them in order to best support people with Autism to reach their true potential. Autism Stories connects you with amazing people who are helping teens and adults with Autism become more independent and successful. To get in touch with Eric and learn more about Integration and Advocacy from Hamilton County Developmental Disability Services email Eric.Metzger@hamiltondds.org or call (513) 559-6695. Music for this podcast was written and recorded by Megan Metzelaar. Megan is a 26 yr old part time student at UC Clermont where she is just about to earn her Associate's Degree in Biological Sciences. She has two casts that liver at her mom and grandmothers house (BW and Sunshine). Megan likes to write music, sing, dance, and watch movies with her husband. She has Autism and ADHD and enjoys performing on stage as it makes her feel she is just like everyone else. Megan just created her first album "24" (however, she is waiting for songs to be copyrighted). In this episode of Autism Stories, Debbie Picker of Fare Cle discusses how her organization is finding ways to help people with Autism meet their transportation needs. Autism Stories connects you with amazing people who are helping teens and adults with Autism become more independent and successful. To get in contact with Debbie and learn more about Fare Cle visit https://fare-cle.org/. Music for this podcast was written and recorded by Megan Metzelaar. Megan is a 26 yr old part time student at UC Clermont where she is just about to earn her Associate's Degree in Biological Sciences. She has two casts that liver at her mom and grandmothers house (BW and Sunshine). Megan likes to write music, sing, dance, and watch movies with her husband. She has Autism and ADHD and enjoys performing on stage as it makes her feel she is just like everyone else. Megan just created her first album "24" (however, she is waiting for songs to be copyrighted). Did you know that the neuroscience community believes that those with Autism may be at greater risk for trauma than the rest of our population? 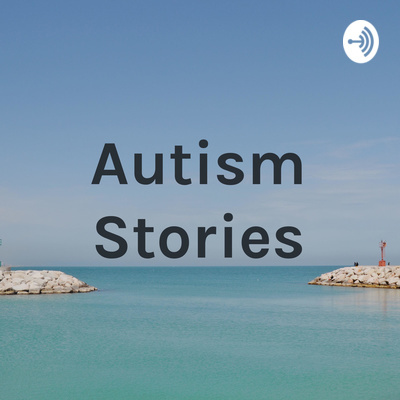 On this episode of Autism Stories Anne Tapia of the Regional Autism Advisory Council of Southwest Ohio discusses the important work she does as well as dealing with trauma for people with Autism. Autism Stories connects you with amazing people who help teens and adults with Autism become more independent and successful. To get in touch with Anne and learn more about the Regional Autism Advisory Council email anne.tapia@cchmc.org or call (513) 636 7616. Music for this podcast was written and recorded by Megan Metzelaar. Megan is a 26 yr old part time student at UC Clermont where she is just about to earn her Associate's Degree in Biological Sciences. She has two casts that liver at her mom and grandmothers house (BW and Sunshine). Megan likes to write music, sing, dance, and watch movies with her husband. She has Autism and ADHD and enjoys performing on stage as it makes her feel she is just like everyone else. Megan just created her first album "24" (however, she is waiting for songs to be copyrighted). Autism Stories connects you with amazing people in the Autism community. On this episode of Autism Stories Cathy Hughes of Achieving True Self discuss her dramatic entrance into the Autism community and the importance of people with Autism developing community. To get in touch with Cathy and learn more about Achieving True Self visit http://achievingtrueself.com or call (866) 287-2036 ext. 101. Music for this podcast was written and recorded by Megan Metzelaar. Megan is a 26 yr old part time student at UC Clermont where she is just about to earn her Associate's Degree in Biological Sciences. She has two casts that liver at her mom and grandmothers house (BW and Sunshine). Megan likes to write music, sing, dance, and watch movies with her husband. She has Autism and ADHD and enjoys performing on stage as it makes her feel she is just like everyone else. Megan just created her first album "24" (however, she is waiting for songs to be copyrighted). Autism Stories connects you with amazing people in the Autism community who help teens and adults with Autism become more independent and successful. In this episode Andrew November, of Liner Legal, educates us on social security disability and the importance of this for many with Autism to live independently. To learn more about Andrew and Liner Legal visit https://linerlegal.com or call (216) 282-1773. Music for this podcast was written and recorded by Megan Metzelaar. Megan is a 26 yr old part time student at UC Clermont where she is just about to earn her Associate's Degree in Biological Sciences. She has two casts that liver at her mom and grandmothers house (BW and Sunshine). Megan likes to write music, sing, dance, and watch movies with her husband. She has Autism and ADHD and enjoys performing on stage as it makes her feel she is just like everyone else. Megan just created her first album "24" (however, she is waiting for songs to be copyrighted). Autism Stories connects you with amazing people in the Autism community. Learn how they help teens and adults with Autism become more independent and successful. In the first episode of Autism Stories hear our interview with Amanda Tipkemper, Autism Services Manager at the Childrens Home of Cincinnati. Listen as Amanda discusses employment and the importance of learning from adults with Autism. To get in contact with Amanda and learn more about the Children's Home of Cincinnati visit https://www.thechildrenshomecinti.org/, email asd@thechildrenshomecinti.org, or call (513) 272-2800. Music for this podcast was written and recorded by Megan Metzelaar. Megan is a 26 year old part time college student at UC Clermont where she is just about to earn her Associate's Degree in Biological Sciences. She has two cats that live at her mom and grandmothers house(BW and Sunshine). Megan likes to write music, sing, dance and watch movies with her husband in her free time. She has Autism and ADHD and enjoys performing on stage as it makes her feel like she is just like everyone else. Megan just created her first album "24" made (however, sheis waiting for her songs to be copyrighted).